If you are concerned about preventing combustion, and want to ensure that your clouds tastes great and is as smooth as possible, make the KandyPens Donuts vaporizer your pick! Like the Galaxy, the Donuts lets you select your preferred setting from three heat levels and has a generously sized .5-gram chamber. What makes this vape unique is its ceramic chamber and disc atomizer with featured SloBurn Technology, which heats up material at a slower pace to greatly reduce the risk of combustion. While the vapor produced is thinner than what you'll get from the Galaxy, you're sure to be impressed with the pure, flavorful taste. The Donuts vape pen provides a convenient way to enjoy waxy concentrates and is one of the newest models from KandyPens, so you know it is a solid buy for the money. Overall, it is a very compact portable device that will allow you to enjoy on the go without requiring to give up great vapor quality. This top of the line wax pen will suit the needs of most users, except for people who are very concerned about cloud size. The Donuts and Galaxy are both similar in nature as they are both highly portable and durable wax vape pens. The Galaxy features a quartz crystal rod dual-coil design within a quartz crystal-lined chamber which produces impeccably clean, crisp, and flavorful vapor, while the Donuts vaporizer features a ceramic dish free of rods, coils, and wicks and is flat in nature. Its ceramic dish burns everything cleanly and leaves no residue. The KandyPens Galaxy is perfect for enthusiasts who want large cloud sizes, premium quality vapor, and very fast heat-up. This wax vaporizer pen includes two premium quality quartz rods, each wrapped with titanium coil, which reach working temperature quickly and remain at a consistent heat throughout operation. With three temperature levels to choose from, the dab pen lets you customize your vaping experience to suit your materials. Its innovative elevated air flow system keeps air moving freely through the unit to prevent clogs, and greatly reduces the risk of leaking. A deep chamber lets you load a generous amount of material as well. So if you're looking for a compact vape pen that will give you a top notch experience when vaping concentrates, the Galaxy is a great option. This model is designed by KandyPens, one of the most well-known makers in its class, and has numerous benefits with very few drawbacks. When you weigh all of the benefits and drawbacks of the Galaxy Vaporizer, it's clear that this is truly one of the best kits on the market today. KandyPens is known for making very high quality vaporizers, and every time they release a new model, it always creates a buzz. One of latest innovation in their collection is the Gravity Vaporizer, made for solid waxy concentrates. There is a lot to love about this vape, as KandyPens has improved the quartz crystal and ceramic atomizer technology and in doing so have made the Gravity one of the best wax pens around. It doesn’t get any better than the Gravity’s atomizer, which features dual-quartz rods wrapped in premium titanium coils as well as a fully quartz crystal chamber. For those looking to savor the flavor of their wax concentrates, the Gravity’s coilless ceramic atomizer is completely free of wicks and wires, and utilizes SloBurn Technology for more casual dab sessions. The drawbacks of the KandyPens Gravity vape pen really are minimal and do not get in the way of enjoying the experience. 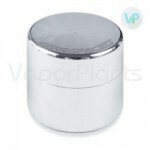 If you use solid concentrates, this device will give you an excellent experience with every use. Galaxy Tornado Edition by KandyPens is here and sweeping across the world. With an adjustable air-flow system, this wax vaporizer pen features the ability to regulate the intake of air to customize your experience. Powered by a temperature controlled battery, the Galaxy Tornado offers three different temperature settings, so that when the stream of air and heat are altered in such a way, the vapor produced evolves as well, leading to results that are unique all of the time - every time. The pureness produced by the crystal quartz lined heating chamber ensures that concentrates retain their flavor as you vaporize. Clogged or leaking atomizers are a distant memory with adjustable airflow in your hand. By increasing or decreasing the volume of air that goes through the atomizer nearly any sort of concentrate can be vaped with heightened efficiency. To fully maximize the Tornado Edition of Galaxy line, KandyPens designers added a carb hole on the mouthpiece to allow for an extra control over the air resistance. This new design functions to increase the clouds one can produce. KandyPens MINI vaporizer is designed to produce smooth clouds of vapor, as this next generation vape is powered by a 950 mAh lithium-ion battery that can be used at three different temperatures. Deep dish chamber with an air-flow system protects the MINI from leakage and like all of the products by this brand the battery comes with a Lifetime Warranty to give you the peace of mind you deserve. This sub-ohm vape is not only a high-performance machine, but is as fashionable and ergonomic as one can only desire. Featuring a deep ceramic chamber that is compatible with waxes and oils, the KandyPens MINI also features their advanced SloBurn technology that prohibits combustion and delivers unmatched aroma and flavor with every cloud. While it is a standard for high-quality: KandyPens vaporizers tend to be somewhat costly, but it is only because they are powerful and reliable, so the price is absolutely worth it. KandyPens provides affordable portable vaporizers for both waxes and oils as well as for dry herbs. All of their vaporizers are sleek, stylish, and perfectly compact, making them excellent vaporizers for taking out in public or on trips without turning any heads. They utilize a mixture of zero combustion convection heating and standard conduction heating, allowing users ultimate control over how they vape. All of the KandyPens vaporizers are made from only the highest quality materials availalble, and are definitely built to last and outperform. Whether you’re looking for a good wax pen, or a vaporizer for dry herbs which utilizes true convection heating chambers, you’ll definitely find what you’re looking for in the vast collection of different models, styles and colors offered by VaporPlants above. KandyPens offers a lifetime warranty on the batteries of their products, but the atomizers are not covered. It is important to keep in mind that most will need to be replaced over time. Q: How do I go about cleaning the Donuts/Galaxy/Gravity atomizers? A: Begin by soaking the heating elements in isopropyl alcohol for 15 minutes, then blow air out of the holes and the chamber with compressed air. Ensure that everything is completely dry before placing it back onto the device itself. It is important to make sure that the air holes are completely clear as well. Q: Can I use the Gravity, Galaxy, and Donuts accessories across all units? A: Yes. These units, as well as the batteries and mouthpieces will all work with one another effortlessly. Galaxy is the best - Review by Theresa G.
I have gotten a lot of different vaporizers, but the KandyPens Galaxy is by far the best. I recommend the Galaxy over any other sort of concentrate pens. It is the best one on the market for sure. The KandyPens Galaxy is definitely worth all of the money that I spent on it. I am absolutely in love with it. The KandyPens Galaxy looks so classy, and is much better on my lungs than smoking. I get compliments on it everywhere I go. Everyone who uses it comments on its look and taste. Secure shipping - Review by Julie N.
The KandyPens Gravity is really compact which makes it easy to take with me on the go anywhere. I highly recommend the KandyPens Gravity to anyone who is considering it. The Gravity vape works as advertised and, not only that, but it comes with excellent customer service. It only takes a little bit of time before it shows up at my door which is a perk too. I love the way it hits and it does not get too hot at all. Great rips for wax - Review by Rhonda A. The KandyPens Donuts gives me really great rips on all of its temperature settings. I love that there are three that I can choose from in total because I like to change it up every time I vape. Great customer service - Review by Robert M.
I love the KandyPens Gravity more than any other vape pen I have ever used. It is not only aesthetically pleasing but it runs just as good as it looks. The ceramic chamber is amazing but the quartz one is exceptional as well. The chamber is super deep and holds a lot of product so that I do not have to constantly worry about refilling it. Fast shipping! - Review by Dan I.
I ordered the KandyPens Donuts and got it right away it felt like. I am really pleased with the product, the processing time and the delivery all the same. The pen is nice and sturdy. This is the best pen on the market today, and I am excited to get all of the other atomizers that go with the KandyPens Donuts. Get it! - Review by Janet K.
This KandyPens Galaxy is probably one of the best things I have ever used. It is really smooth and keeps the taste perfectly in line. I think that anyone who does not have one of these KandyPens Galaxy is certainly missing out. The KandyPens Galaxy was the best decision I have ever made. VaporPlants is great! - Review by Christian G.
This KandyPens Galaxy is my fifth pen that I've purchased. I got a few for my friends as well because every time that someone asks what I have or where I got it, I end up pointing them to this site, thanks VaporPlants. Gravity is a great pen vape - Review by Michael B. The KandyPens Gravity is a great pen. I had another one before this one but the battery died on me too fast so I got another. This one is even better than the last. Both of the coils that come with the KandyPens Gravity hit like a dream. I love the different heat options that the battery provides. Overall a really great vape. KandyPens Donuts is best - Review by David L.
The KandyPens Donuts is the best choice I have ever made. It is by far the best pen that I have ever used for concentrates. It is unparalleled and I never want to use a different kind. The vapor is smooth and clean and does not burn like a lot of other vapes do. Short battery - Review by Marie A. The only thing that I do not like about the KandyPens Donuts is that the battery dies pretty swiftly. it is an excellent product outside of that. This pen makes my concentrates last a lot longer than a lot of other pens and does not just burn it to nothing. KandyPens Galaxy is great - Review by Taylor S.
Even after a few weeks of using the KandyPens Galaxy, I am still in love with it. My love for it grows every day and I recommend it to everyone that uses it. Hits really well - Review by Sharon D.
This KandyPens Galaxy is everything I was hoping for in a pen and more. It hits really well. I'll be ordering more in the future. KandyPens Gravity wins - Review by Lisa N.
The KandyPens Gravity is a great product and offers super speedy delivery. My order came fast and in super discreet packaging which I loved. It has a nice case as well as a great quality look and feel. There are two coils, but I do prefer to use the quartz coil. So far it is the best vape pen that I have ever used. I will never go back to regular dabbing again. I recommend it - Review by Jacqueline H.
The KandyPens Galaxy has really great flavor and I recommend it to anyone. Outstanding flavor - Review by Bryan K.
I love the different options that I have to choose from with the KandyPens Donuts. It gives me the choice to change out the different atomizers as I see fit. It is the best for vapor rips that you do not want other people to see you taking. But even though the vapor is nice and discreet it offers exceptional flavor. The KandyPens Donuts is really well made and has great quality construction. The flavor is outstanding and truly nothing compares. Really dense vapor - Review by Dabber P.
The KandyPens Galaxy has a little bit of a hard pull but it is worth it. The vapor that it gives off is really dense and flavorful. I am pretty obsessed with this pen. I love this wax pen - Review by Jose M.
I love the KandyPens Galaxy. It is every bit as good as they said it would be. The KandyPens Galaxy has great flavor and power. It hits really hard and provides great vapor. Super fast shipping - Review by James D.
I love my new KandyPens Galaxy. The quality is high and it hits like a dream. The shipping was super fast as well. 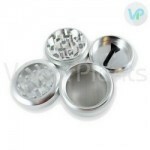 Happy customer - Review by Dabs R.
I am so happy that I bought the KandyPens Donuts. It works incredibly well and is definitely my favorite pen that I have used. Greatest pen ever! - Review by Steven E.
The KandyPens Donuts is a great pen but I do wish that the life span of the vape was a bit longer. Other than that this is the greatest pen I have ever owned. Works well for me - Review by Weeds Y.
I love the look and feel of the KandyPens Gravity as well as how easily it works for me. Flavor is outstanding - Review by Albert D.
I will never buy another vape pen again. If for some reason my KandyPens Gravity stops working, I will just buy another. It is that good. The battery is exceptional and the flavor is outstanding. Battery has lasted all day and I like that the build doesn't look cheap. Great tasting and long lasting are the best parts of the pen. I love this vape pen, I think that it is a great product to vape waxxy materials. It does what it is supposed to do and doesn't cost ridiculous amount. This vaporizer wax pen is amazing for the price. battery is good, and vapor is tasty, I only wish they included a car charger in the package. 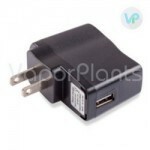 Would definitely purchase again from VaporPlants my next vaporizer or accessories. Donut Vaporizer is easy to use and clean. It is my first dab pen. Heats up fast. and I have never ran out of charge before being able to charge it, but I only use it myself. My only complaint, is that it comes with one heating chamber (atomizer). Recommend KadnyPens Executive Vape Pen for wax, as it is device which is a great value for the price. It is discrete to use in public, so that no one can know "what's up". It gives off a scent but burning wax smell, Had to replace heating chamber atomizer after about 3 months, so would recommend to get a few extra right away. I do recommend this dab wax pen for beginners, but if you have been vaping for a while, try to get something else. Galaxy Vape Pen is temperature controlled pen that you can hit on anytime in just a few seconds. I just throw a big dab in the atomizer and I am good for several quality hits. Battery on my KandyPens Vaporizer lasts me at least all day. Haven't tested its limits yet, but know as a fact that vapor tastes great and no chemical taste. All metal construction is a good way to go. I would definitely recommend this unit! Donuts by KandyPens is a good way to go when "waxing". Many other dab pens I tried heat up with a coil and burn up the wax. The Donut doesn't use a coil atomizer, so the wax goes through a slow burn, resulting in much longer life and vaping experience! Battery life is long, and you can control temperature with it. The best part is the flavor and vapor the Donut provides!